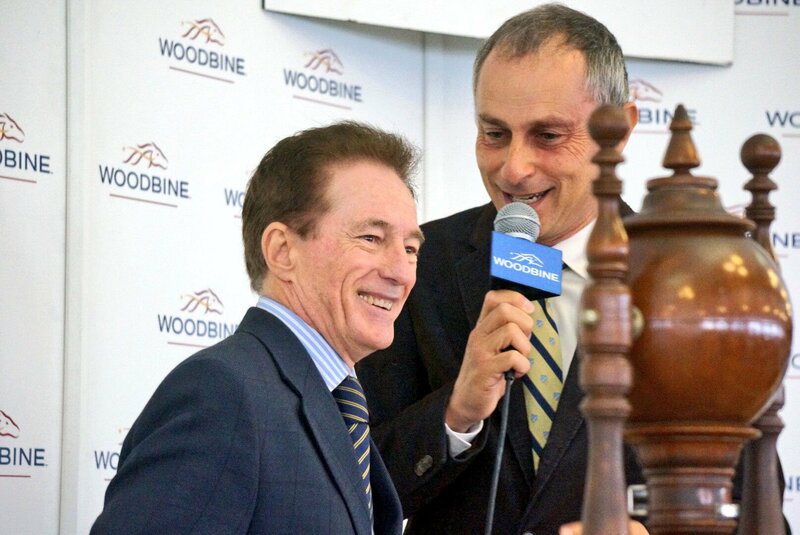 TORONTO, October 6, 2018 – The world will be watching as a field of 12 horses descends on Australia’s Royal Randwick racecourse to compete in the second running of the $13 million (AUD) TAB Everest next Friday, Oct. 12 and Woodbine’s own track announcer Robert Geller will have a stake in the race. This year’s edition offers added excitement as Sky Racing Word, the Louisville, Kentucky-based distributor of international horse racing content and subsidiary of Australian wagering operator Tabcorp, will donate $5,000 (USD) to charity through its newly-launched ‘Climbing Everest’ promotion. Having already been assigned a gate number via a “gate draw,” participants will now wait for the official “barrier/gate draw” on Tuesday, Oct. 9 in Sydney, Australia, which will determine the horse allocation for each participant. The array of personalities participating in the ‘Climbing Everest’ promotion is matched only by the diverse list of charities that stand to win on race day. Representing a spectrum of organizations, many dedicated to horse racing welfare, the list of charities includes those offering retiring racehorses safe-haven and rehabilitation, awarding grants to approved aftercare organizations to retrain Thoroughbreds and much more. Geller, who has drawn Gate 7, will be hoping to raise money for Longrun Thoroughbred Retirement Society. Below are the 12 participants* with their corresponding charity of choice and assigned gate. There have been some dramatic events on the past few days but the field of 12 for The Everest is now finalized. The 12 contenders are 2017 winner Redzel (13/2), Santa Ana Lane (11/2), Trapeze Artist (6/1), Vega Magic (6/1), In Her Time (13/2), Shoals (8/1), US Navy Flag (10/1), Brave Smash (12/1), Viddora (12/1), Graff (13/1), Home Of The Brave (15/1), and Le Romain (20/1). The Everest has gained considerable popularity as the richest turf race in the world, awarding a total of $13 million (AUD) in prize money. The prize pool also establishes The Everest as the richest horse race in Australia, surpassing the iconic Melbourne Cup ($6.2 million) on November 5. For more information on the ‘Climbing Everest’ promotion and terms and conditions, visit Sky Racing World. This entry was posted in Woodbine Insider and tagged Climbing Everest, Horse Racing, LongRun Thoroughbred Retirement Society, Robert Geller, Sky Racing World. Bookmark the permalink.